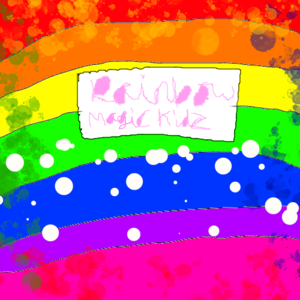 Rainbow Magic Kids is a anime story created by PastelSweetPea that tells us a group of teenage kids in a world full of imagination called Dreamland. This story contains tramsformation, romance, magic and many more! Once you're casted. Just give my your skpe name so I can help you whet you need to do! 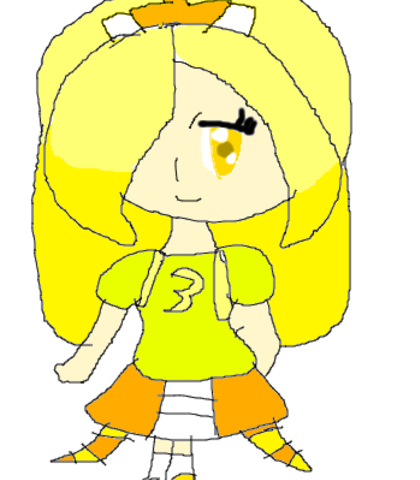 Tia is the 2nd eldest of the Rainbow Brigade, also the quietest person out of everyone in her high school. She always apologies for when she makes mistakes, easily cries and angry at the same time. Tia's shyness always make everyone calls her "Kawaii!!" U-U-U-Um... N-N-N-Nice to you meet you! I'm the... Princess of the Angel Kingdom. M-My name is T-T-T-Tia SweetPea! ...phew, I finally said it! Last time I did a speech, was back at my kingdom my parents told me to give my nicest speech to our people who lived in my kingdom. Everyone knows I'm shy... H-Huh?! Y-You want to know how I become a m-magical kid?! Well.. Um... My powers are love, you know b-because I'm pretty I guess? My theme colour is my favourite colour... Pink. My lucky number is um... 7. 7 is quite a nice number to me! He calls himself true gangster. His voice sometimes when he screams, it sounds like a girl. He can also says "Whoo!" a lot. Yo yo! What's up gangsters! I Carl Aoi, the true gangster! Nobody believes that 8'm the true one! Except for one person... Dane. He jokely says I'm not every playtime! But I don't care! I wanna be a true gangster! Magical kid aye? That's not how gangsters do man! My powers are light, theme colour is orange and gangster lucky number 2 yo! Dane you know nothing about gangsters so shut up! Liam a.k.a Mr Perfect striker. His voice needs to be like normal. Just a normal man voice. Hey, I'm Liam. Not just a ordinary teenager. I'm a expert at football! Nobody beats me or faced me at football, I just win all the time. They call me Mr. Perfect striker! I know, that's a stupid name, but it suits my title! Anyway, when I became a magical kid, it also helps me to became a even more football master, my super powerful kicks can take out those stupid monsters! My powers are earth or land, theme colour is green and my lucky number is 4. My ultimate powerful kick will everything out of the way! Andrew has a really good sense of humour a lot! His voice needs to be energetic. I mean I need a voice actor who can do jokes too! 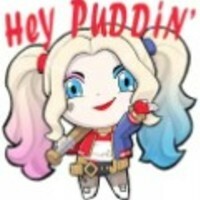 Hi hi hi! Sorry! I just love to say hi to you all! Andrew Satoshi is my name! Tia can we kiss? What do you mean do you don't want people to see us?! Me! Me! Me! I wanna do it! Morgan has a posh voice so you might need give her a bit of a posh voice. Hey people! I'm Morgan Mizuki! The prettiest girl of the Rainbow Brigade! Gosh, I love fashion! Evey fashionist has to look perfect all the time! No stereotyping! I even wear makeup all day to school! But the teachers doesn't even a monkey's about it? Haha! Such boring blind teachers! I don't know how to describe if I'm a magical kid. I mean, it's a good fashion here. But why is my hair all purple?! My powers are the glorious wind, my theme colour is purplish purple! And my lucky number is 6! I can be as pretty as I want. Got it?! Dane, the leader of the Rainbow Brigade. His voice seems he's really kind. But can bit a bossy if anyone messes with him. Hi everyone! I'm Dane Daichi! The leader of Rainbow Brigade. It's my very first year at UTX high school! Man, I'm so excited. But... When i was halfway to my school,a strange fairy lookalike bumped into me and told me there's a evil monster following him. And it told me to become a magical kid. Guess what? I accept it's offer! When I a magical kid, my powers will have fire, my theme colour is red and my lucky number is 1! No.1! You better back off Missy! Don't you sass me! Sam has a tomboyish voice so like, she has a deep voice too. Keep talking, and one punch to your face!